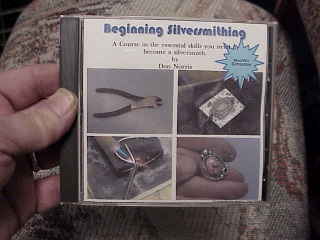 Beginning and Advanced Silvermithing Classes Special Offer! Get All My Classes on one CD For One Low Price! A Perfect Gift For The Artist In Your Life! and I will pay for the Shipping! You Can Learn To Make Jewelry At Home For Fun and Profit!! Just Click Here To Learn!! !